Now with the full functionality of the official version of FireFox has finally landed the Google Play, the functionality of this version and the previous version is the same, such as support Flash and HTML5, can sync with PC version of Firefox, UI is similar to the built-in browser in Android, and the most important thing is: they have dramatically increase the speed of the browser. Unless we sourced by other site article, otherwise all posts were compiled by our site. 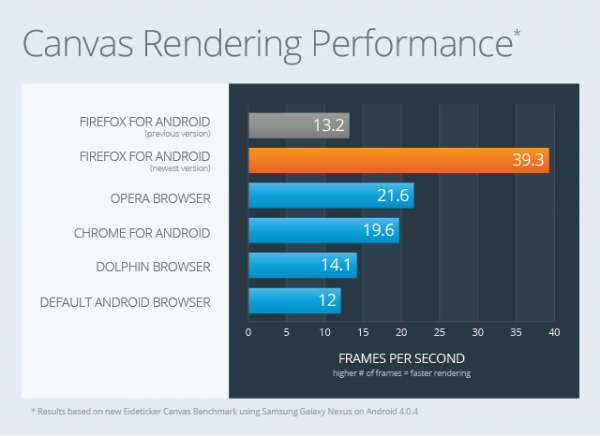 Title of this article: New version of Firefox for Android released! Bring improved performance and functionality. I’m getting sick and tired of WordPress because I’ve had problems with hackers and I’m looking at alternatives for another platform. I would be fantastic if you could point me in the direction of a good platform. I am using wordpress.com for this website. There are many alternatives out here. For example, blogger.com (by Google).